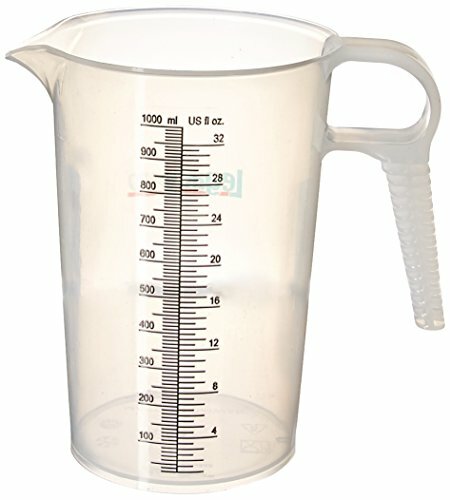 The LegacyPro measuring pitchers feature extra strong construction made from a high grade polypropylene that has high chemical resistance to a wide variety of chemicals. The raised graduations in both US fl. oz. and metric help insure accurate measuring and have been debussed black to be more legible. The unique handle gives extraordinary user comfort, even with a gloved hand. This open handle also allows the mixing beakers to be stored in much less space.